As I sit in the pub garden of Castle Tavern in Woolwich—with a smooth beverage in hand—there was a music video being filmed right by the side of us. P Montana briskly walked up and did a few cameo shots before sitting down in the bright, yet chilly, early afternoon light. The East Londoner may seem reserved away from the decks and studio, but his focus and passion oozes into every conversation as we discuss the beauty of the world of Afrobeats, and how his exclusive mix for TRENCH signposts the songs that made a direct impact on clubland. P Montana is a big part of the power force of Afrobeats sweeping the UK; his core role as a DJ has given a strong foundation for a load of untapped talent breaking through his Radar Radio show and highly-treasured mixes on SoundCloud and Mixcloud. 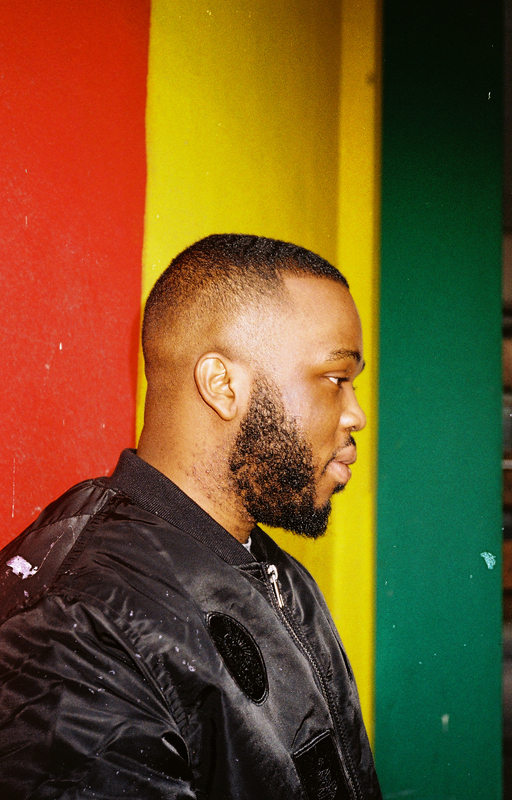 Over the years, the Canning Town-raised DJ has stayed loyal and consistent with his love for Afrobeats and, slowly but surely, he’s broken through each barrier that has come his way. Tearing up everything from university parties to European tours, P Montana now plans to create a springboard for emerging talent with his new Rah Boy platform. Before getting into his exclusive mix below, the in-demand spinner gives us a grassroots lesson in Afrobeats—one which we won’t forget in a hurry. 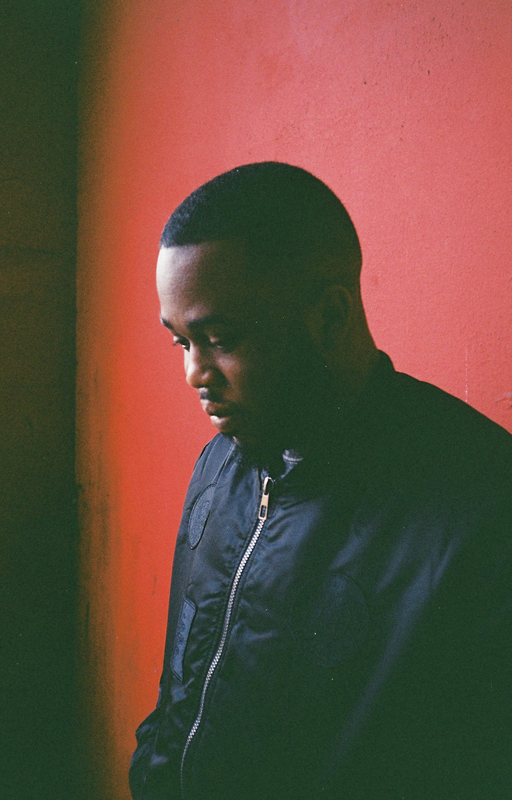 What initially attracted you to Afrobeats—and having grown up in East London, did you ever sway towards grime? Firstly, it’s the best. Secondly, being from an African heritage is just like breathing. Whatever you’ve done or wherever you’ll go, there’s an element of Afro around you. When you’re young, you’re already going to family parties so you already know the songs. It got to a stage where, when we grew up and everyone started making their own music, because the UK was predominately grime, everyone started making grime. As people started to develop as artists, they had to find themselves rather than following the crowd; Afrobeats is just a natural thing that came out. It’s just about embracing where you’re coming from; with age, you accept where you come from and you appreciate it more. That just comes out naturally. That’s why Afrobeats is what it is. It’s feel-good music, too, so when you hear it, you just feel good. Why do you think it’s taken so long for the whole UK movement to be accepted? Everything has its time. You may like something that’s good now, but you may not appreciate it until someone else shines a light on it. It’s all about timing, quality and consistency. I reckon now is the best time, as the majority of the people growing up now; like back in the day, a lot of the Africans didn’t really go to raves, and if they did go to raves they’d go to a garage or grime rave. Since the generation that started this whole music scene grew up, they can now make money and invest in the music that people like—numbers talk. When people started doing the numbers and started shutting down clubs, that’s when everyone started to pay attention. The music has always been there—we just needed a couple of people to make a stamp on it. When do you feel you started to see the tide changing? I’d say within the last year or two I noticed it. If you look at all the big platforms like SBTV, one of the videos with the most views is Yxng Bane’s “Shape Of You” remix and J Hus’ “Lean & Bop”. GRM’s very similar with Not3s’ “Aladdin” and Kojo Funds’ “Dun Talkin” being the most popular; the numbers speak for themselves. If they’re the biggest things and they’re Afro, then something right must be happening. Are there any politics between the traditional African afrobeat scene and this new, influenced movement from the diaspora? At first, when we were making this music, artists like Mista Silva, Kwamz and Flava were making it so people back home liked it. That’s why there was a lot of struggle with it being heard here; at first, it went off with the university circuit and the kids in college because it wasn’t really mainstream and, I guess, they were doing the work to find the right balance. The new school type of Afro—Afrobashment, Afroswing etc—artists have made it so the music sounds like you’re from Africa, but if you’re from the UK you can understand what they’re saying or what they’re going through. Obviously you’ve got Kojo Funds, J Hus, Not3s and Yxng Bane; they’re all Africans and what they do isn’t rap, so you can’t put them under UK rap. Where you can hear an accent, it’s always going to be Afro so that’s where the whole Afroswing and Afrobashment thing comes from. If you listen to the ting, it’s not Afrobeats—a lot of the beats are bashment, but because they’re not Caribbean, they always put the Afro ahead of it. From that, it just connects people around them and it’s making the sound universal. That’s how both worlds linked. When people from overseas start seeing the numbers here and people over here like it, they started to embrace it and take it in more. Are we still in that process of gaining respect? How has your local area influenced your love for music? If you’re from East, then you’ll know the history and you’ll know grime was big back in the day; crews like Nasty Crew and Roll Deep, as well as all the local MCs—East has always been known for its music since I can remember. Even though South have loads of great rappers, East has had its fair share of the scene as well. Even from my area alone, that’s where Kojo Funds is from, Yxng Bane and Dun D is from there and Hus is from Stratford... I’ve claimed Not3s as well, because his studio was in East when he started out [laughs]. Your signature, “Rah, boy!”, plays on every intro to your mixes—what’s behind that? One day, on Twitter, I saw some guy tweet “Rah, boy!” and he used to get bare reception for it so I just said, “Voicenote me this and say it like this.” From then, I dropped it in my mixes and it always shuts it down in clubs. Now everyone knows me for the slogan; whenever people hear it, they know that it’s good music from the jump. I wanna develop this into a platform too: Rah Boy, which I will push talented producers and artists through. That’s always been my main focus. Your Rah Boy Vol. 1 LP has been extremely well received. What was the process of putting it together compared to creating mixes? With so many people passing through, what was some of the standout moments? There were some acts that came through during a session and it took them four hours to do four bars and we couldn’t believe it. Real talk, though: creating music in a studio is a special experience. It meant a lot more to the artists, and that’s why when it came out, everyone on the project was pushing it. They were there to witness the whole song being made from scratch and every song was made in a day. When everyone came in the studio, it was at zero, started with the kicks and snares then the synths, framed the melodies then they went in with the bars—so it was like your baby and everyone’s input made the final outcome. It’s a great feeling to make feel-good music. 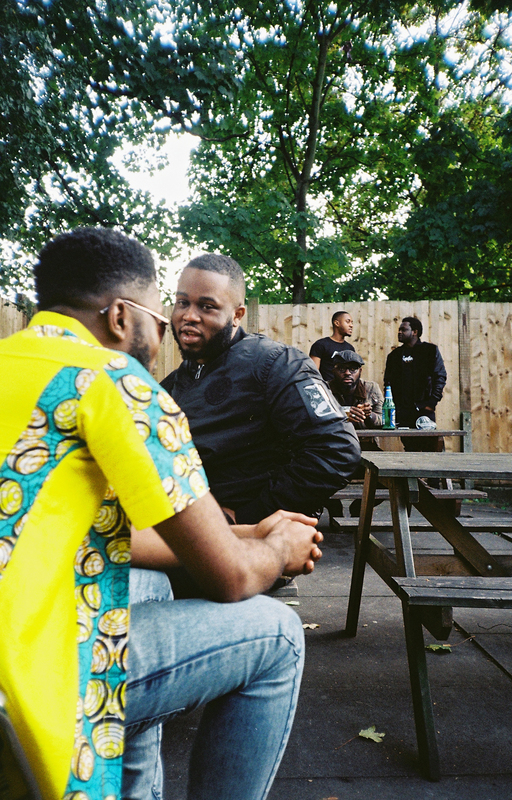 What would you say to the people who think the UK Afrobeats movement is just a phase? I wouldn’t say it’s a phase. Obviously, everything goes through the spotlight so it’s just about making the most out of it. It’s not a phase though—it’s always been here—it’s just that now it’s much more in your face. Saying Afrobeats is a phase is like saying reggae is a phase; it’s always been there! It’s understandable why people would think that, though, especially as a lot of people are making money and there’s a rush to sign artists, but you’ll see five years from now that there are still bangers and chart hits being made.